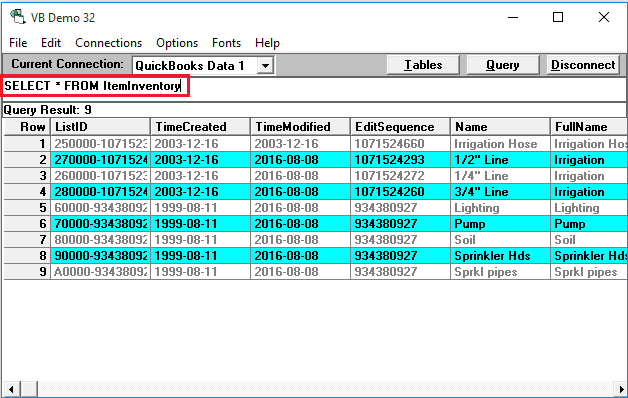 I would like to be able to access QuickBooks to extract inventory data in database format. I believe this is possible with QODBC. My issue is that I do not want this person to have access to everything in QuickBooks (customer credit card information, payroll, financial information, etc.). Can I limit their access to the data with a user profile? You can set up access right in QuickBooks by creating user & provide him/her rights. Create user "Jack" assign Inventory rights only. 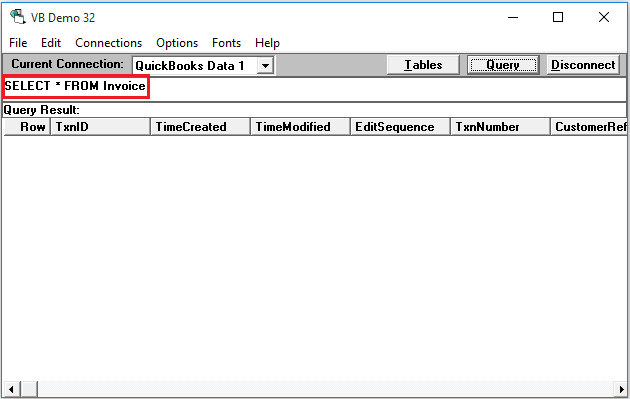 When you connecting to QuickBooks using QODBC first time you need to log in as Admin in QuickBooks company file & the certificate for particular QuickBooks User (In this example "Jack"). Integrated Application is showing Access rights for User. If the user is restricted to access particular module from QuickBooks UI, then he is not able to access same from QODBC also. Now log out to QuickBooks as Admin & login as user (In this example "Jack"). Now we will connect using QODBC & try to access ItemInventory table. The user can access ItemInventory table because the user has rights to access Inventory. Now, We try to access Invoice table. No data returns. The user cannot access Invoice table because the user has no rights to access Invoice. Now log out to QuickBooks as Jack & login as Admin & try to access Invoice table. Admin has a Full access. 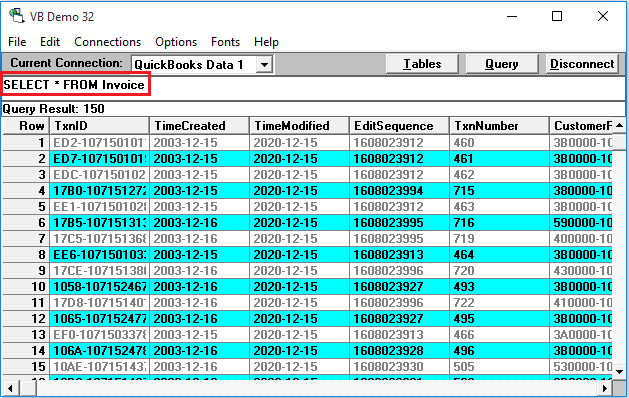 So Invoice table will return data. 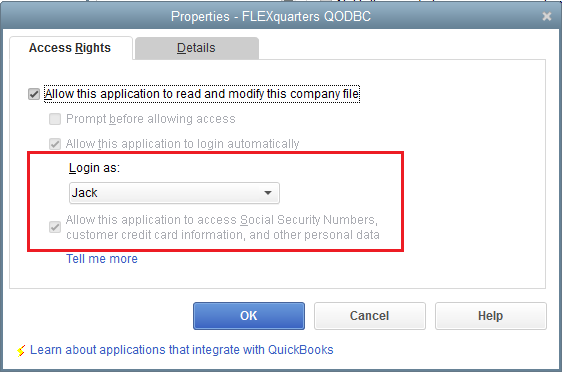 QODBC will use QuickBooks Logged in User access rights. Integrated Application user rights will be overridden if logged in user different. 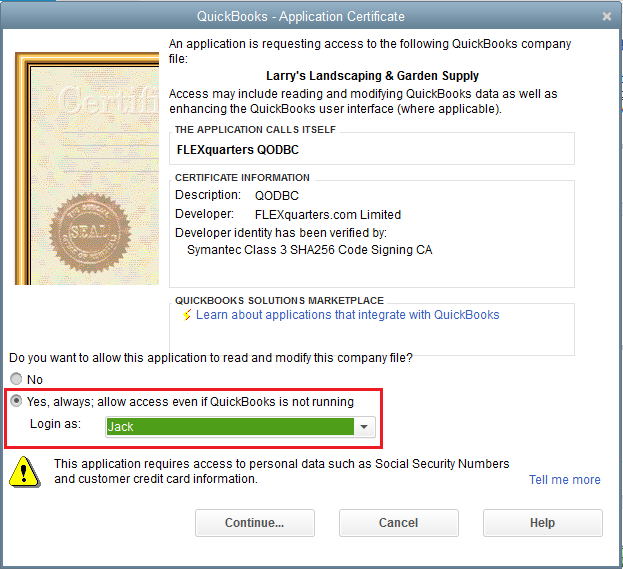 When QuickBooks is not running QODBC will use auto login user rights. You have accepted the certificate for the User A & User A has Inventory access only. 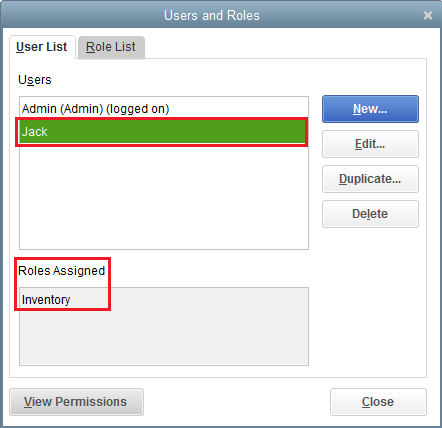 User A can access only Inventory data when User A is logged into QuickBooks. User A can access other data If Admin or Another user (who has different access rights) is logged into QuickBooks. My colleague and I would have read/write access, and other employees access would be more "read only" access. So it is possible through QODBC? 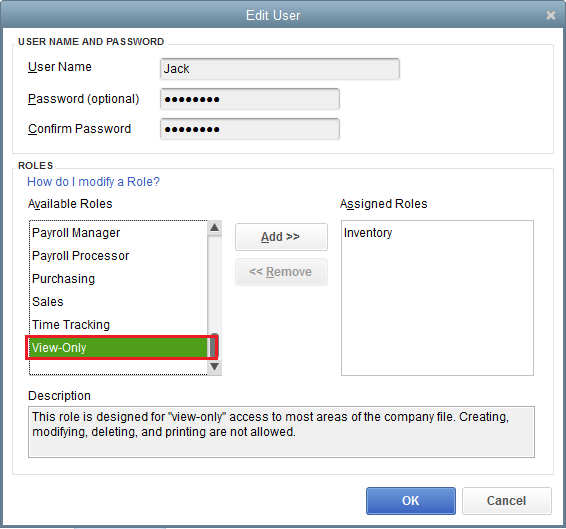 You can set up access right in QuickBooks by creating user & provide him/her "View Only" rights. Note: When you set up "View Only" rights for the user at that time user has limited to View Only in QuickBooks UI as well as through QODBC. 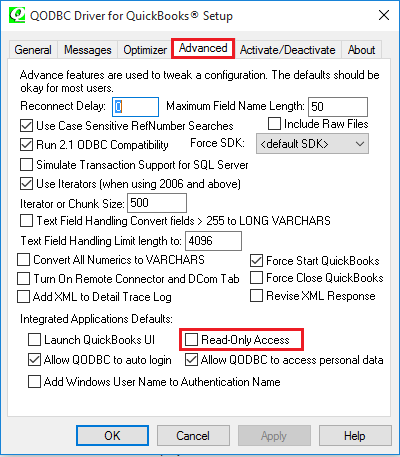 Start>>All Programs>> QODBC Driver for use with QuickBooks>>QODBC Setup Screen>>Advanced Tab>> Enable "Read-Only Access"
Note: When you disable write permission from QODBC. It will be affected by all users who is accessing QuickBooks data through QODBC. So it is not possible to disable write permission for the particular user.